Summer slowdown!! Half way through June and not even officially into summer, but I already feel it slipping through my fingers! Last year a good chunk of my summer was spent on bed rest and this year our summer activities need to be baby friendly. I don’t usually do this, but with our weekends filling up I made a summer bucket list. So here are our seven. 1. Go to the zoo. We had the zoo trip all planned last year until I was put on bed rest a few days before, the boys were sooo bummed. Can’t wait to take them this year! 2. Take in a ballgame. Granted Grace and I go to three baseball games a week between the boys and Aaron, there is nothing like watching a major league team play complete with hot dogs, ice cream and fireworks! 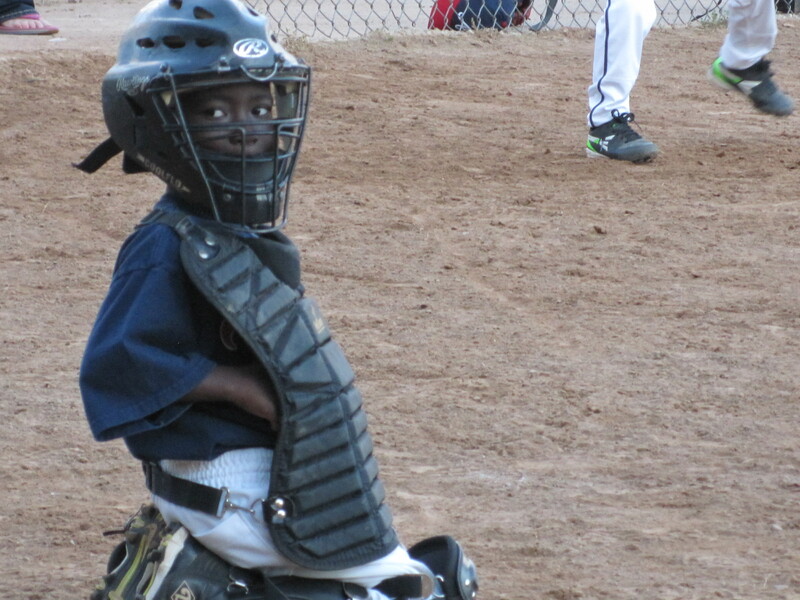 Cutest little catcher, who needs the major leagues! 3. A week at the lake. A family tradition since I was young and one I look forward to with excitement every year! Boating, swimming and campfires. 4. Ride the roller-coasters. 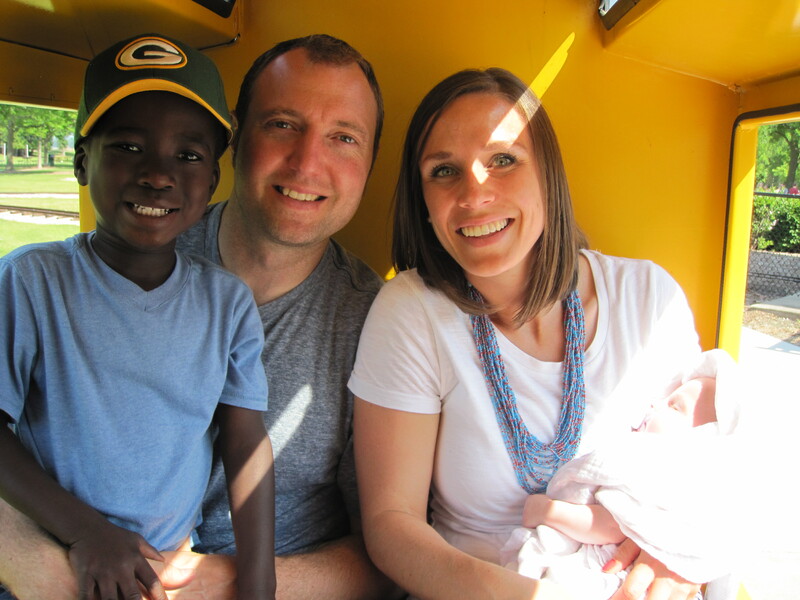 There is an awesome kid-friendly, wallet-friendly amusement park close to us. The boys absolutely love it and Kolbe has even joined me on the roller-coaster!! Sleeping through her first ride, loving the train! 5. Spend a couple of nights at a hotel. Nothing too extravagant for a family vacation planned right now, but a couple of days to get away just the five of us. 6. Visit a state park. Hike, bike, canoe, swim or play on the beach. 7. Tent out. The boys have already semi-accomplished this last weekend when their cousins were visiting. 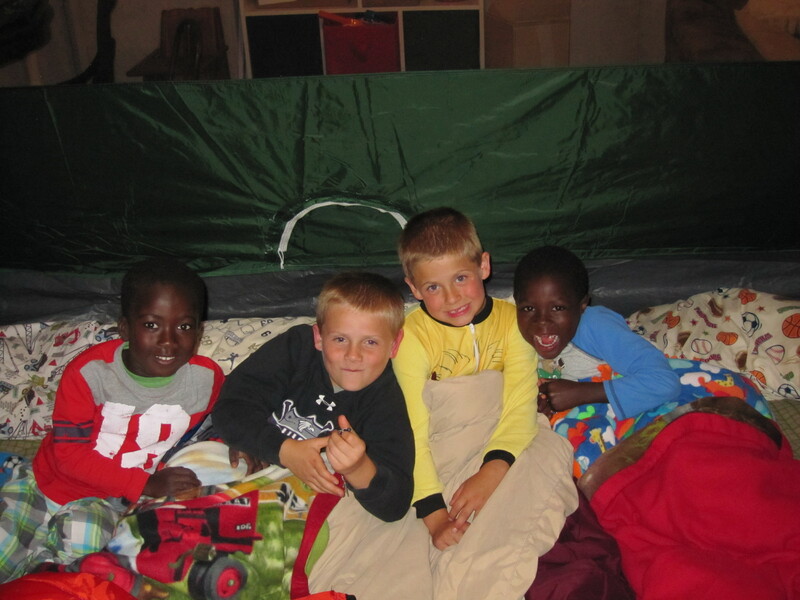 First time tenting out…in the basement! They had a blast!! Perhaps moving the tent outside will be next. Above all I just want to spend my summer days wasting time with my family, making memories, laughing and enjoying every moment we have together. Feeling more like a Monday than a Friday, one wet bed, two diaper blowouts and a tantrum as we struggle to make our way out the door by 8:30am this morning. Happy Friday!! Visit Kelly for seven takes that are sure to be more substantial!